When it comes to Thanksgiving, as you know from reading my previous post Orange Cranberries Rolled Oats Ricotta Muffins, my favorite ingredient is cranberries, but I know many of you look forward to pumpkins, winter squashes and gourds. 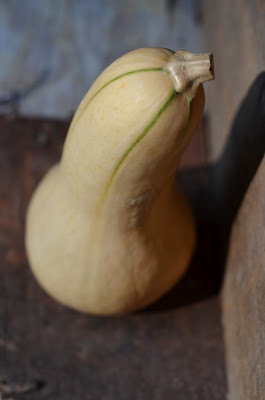 So when squashlove bloghop November came around I decided to expand my repertoire. When is comes to Italian cuisine what intrigues me most are two aspects, the simplicity of the sauces and the making of the pastas. The sauces you would think are straight forward enough but I find it to be an art extracting maximum flavor from minimal in season ingredients paired with good olive oil and Parmigiano-Reggiano. The art of pasta making I revere. The thought of making artisanal pumpkin or spinach pastas just heightens my senses. One of my favorites is the very finicky gnocchi. This time around I wanted to pair the seasonal butternut with Italian cuisine. I remembered a few weeks ago my friend Lora The Cake Duchess made some Potato and Butternut Squash Gnocchi with Bolognese Sauce. She must have read my mind. Instead of Bolognese sauce I wanted to keep this recipe vegetarian and continue with the butternut theme so you will find below Sage, Garlic and Butternut Puree to accompany the gnocchi. I also drew inspiration from Epicurious' Butternut Squash Gnocchi with Duck Confit and Swiss Chard and from Lidia Bastianich's Lidia's Italy in America Gnocchi with Marinara Sauce. Both are potato gnocchi but never the less inspiring! 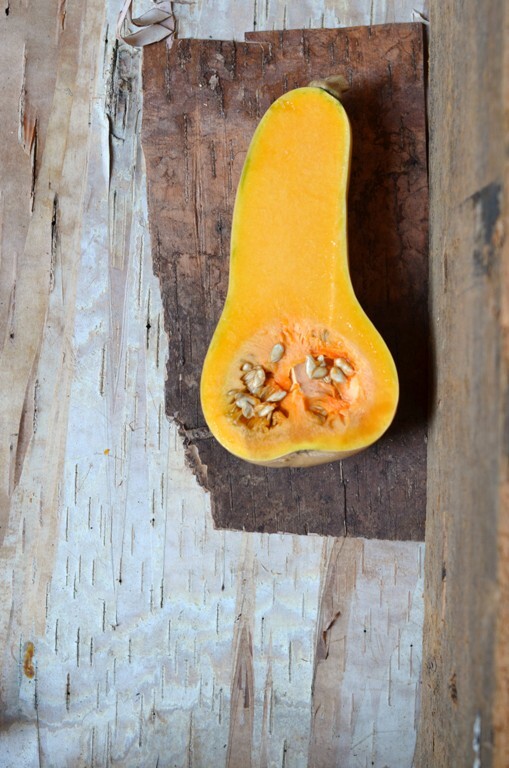 November is #SquashLove month. 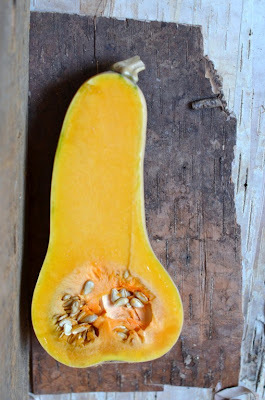 Please join in on the SquashLove fun by linking any recipe from the month of November 2011. Don't forget to link back to this post so that your readers know to come stop by the #SquashLove event! 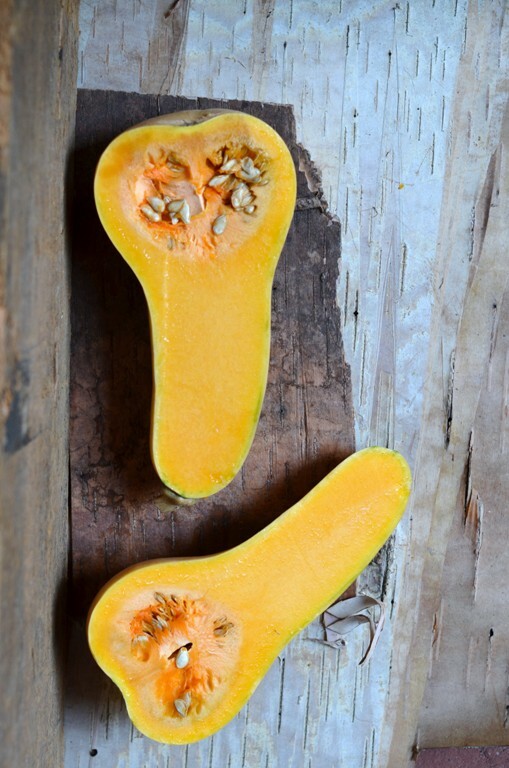 Twitter hashtag is #squashlove. Preheat oven to 350F. Line a cookie sheet with parchment paper and brush it with a bit of olive oil.Trim butternut's stem and half butternut squash lengthwise. Scoop seeds and place skin side up in cookie sheet. Roast in oven for 45 minutes - 1 hour. Fork for doneness. Let cool slightly scoop out of skin and puree in a food processor or a blender to a smooth consistency. Add olive oil to a skillet on low, medium, add the minced garlic and let cook gently until garlic is soft. Make sure garlic does not brown. Add sage leaves and crisp slightly. Add the butternut puree, salt and white pepper and cook for a few minutes longer. At the bottom of a plate or large soup bowl scoop a generous portion of the butternut puree and place a few gnocchi on top. Garnish with shaved Parmigiano-Reggiano and fresh baby sage leaves and serve. As much as I love squash, I must also admit that I've never made gnocchi. Not sure why. Maybe it's time? Just love the sound of this dish; wish I had a serving right here, right now! I love squash & sage together... I think they're a classic combination. Your photos are so lovely. This may be my fave of all the squashlove posts! This puree looks wonderful & it's a great recipe ! I love your amazing photos! You make me want to try making this right now. Thanks for sharing. Glad to cook with you on this bloghop, Shulie! I'm a big fan of butternut! One of the easiest varieties to peel, LOL. I think gnocchi is in the offing...I've been meaning to make some and actually bought a gnocchi board from Sur La Table. Happy to cook with you, Shulie! Really really nice photographs Shulie! LOVE the wood and the vibrant yellow. The recipes sounds very comforting and a much better version for me than a non vegetarian one. I have never made gnocchi or any pasta at home! That looks wonderful! Lovely clicks. Must. Make. Now. I'm a sucker for any kind of pasta, squash and sage combination - this looks lovely. Butternut gnocchi is a winter treat in our house. Love it to bits! Great post darlin. 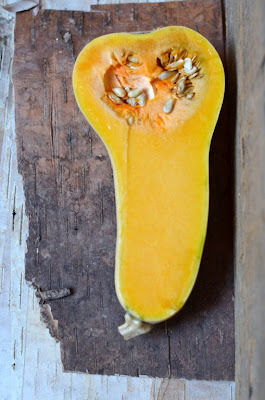 i love the idea of using butternut for a pasta sauce! wow, shulie! :D sending some #squashlove to u! I tried making potato gnocchi before but I wasn't too happy with the result. So last week, I actually DVR'd a show by Chef Ashley James featuring gnocchi making and I have been meaning to make gnocchi using their method. Now with your post, I think I'm all the more inspired that next time I try making it, it would be as good as yours hehe... but seriously your gnocchi looks divine! love the suberb clicks shulie.. the color is so fall! i've never made gnocchi at home.. but i like it in garlicky sauces.. a dn i like butternut. so this is a keeper! this looks so yum, SHulie! nice photos too! glad to be cooking along with you! That's the 2nd squash gnocchi I see and i am salivating about... and your pictures are just great!!! Mmmhm, this made me crave gnocchi! I've got a squash I need to use up and this recipe looks perfect, thanks for sharing Shulie! Oh..what lovely clicks, Shulie..that plank look so rustic. Love the bright yellow puree with those gnocchi in it. Shulie, your photography is always gorgeous. I feel like I'm reading a gourmet magazine when I read you post. Great minds think alike, I made a gnocchi recipe too. That sounds amazing. I love all those flavors, this is pure heaven to me! Wow this looks amazing! The photos are just gorgeous. I love butternut squash anything and gnocchi so it's a perfect pair! Can't go wrong with butternut squash and sage. Yum! I ALWAYS make pumpkin risotto you know? But this sauce is also excellent with gnocchi, as you suggested. Oh I love squash and must bake along! 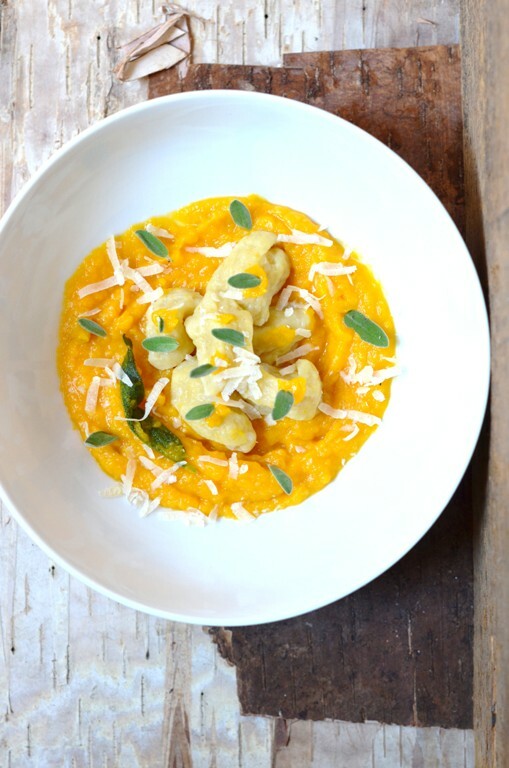 I must try these gnocchi - adore them but never make them and I so love autumn for the pumpkins and squash! Gorgeous! I haven't made gnocci in so long...this looks delicious! Phenomenal pictures, and an even better recipe. This sounds like fall comfort food at it's best. I'm such a chicken, I've never even tried butternut squash. But this looks really good! Butternut squash and all that garlic - love it! Looks like a great side for a holiday table. I love that you put the squash in the gnocchi and the squash gnocchi in the squash! 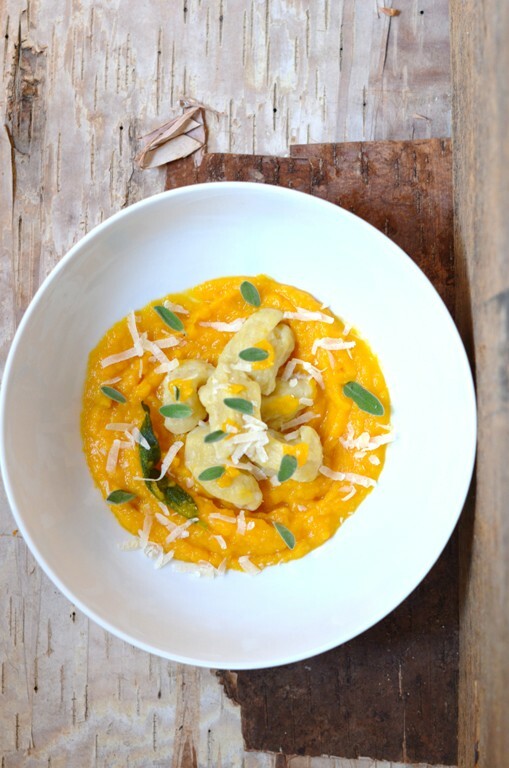 I can almost taste that silky, gorgeous butternut puree, and your photos are stunning! 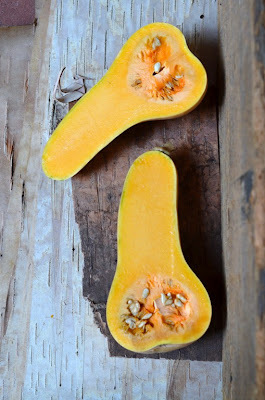 Yay for #squashlove..and I cannot wait to make that puree! Totally fabulous. I've done butternut squash ravioli, which we loved. This one looks even better. Your gnocchi look divine! Beautiful vegetarian dish. Love it! I love squash and gnocchi is my favorite pasta. I absolutely have to try this. I've made all sorts of sauces for gnocchi but never one with butternut squash - definitely fits in the category of "why didn't I think of that"!